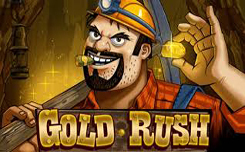 Gold rush slot will tell about one treasure hunter, who for his own sake had to go underground, hoping to get gold. Gold rush slot, has five reels and 9 paylines. The game screen simulates a wooden surface. Among the symbols, you can see: a mole, a canary, a treasure hunter and others. Scatter (box with dynamite). It drops out only on 1 reel, and after each appearance, adds one mark on the TNT indicator, which is responsible for launching an additional stage. When the scale is fully filled, three mines appear on the screen. If the player chooses a silver one, he will become the owner of 30% of the prize pool. The gold mine will enrich it by 60%, and the diamond mine by 100%. 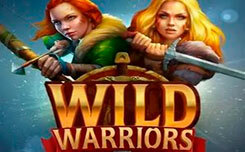 Wild, can replace the characters that are missing to obtain a successful combination. The trolley is a bonus symbol. If the player was lucky enough to see him on 1 reel, then the system instantly activates the prize round. Here, the participant, you will need to choose 1 of the 3 presented trolleys. 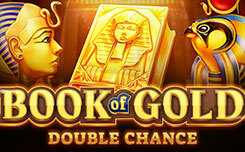 A trailer with silver will multiply the player’s base bet by 4 times, with gold at 7, and with diamonds 12 times. Also, the slot can offer the player participation in the risk stage. To do this, he should wait for a successful combination, and click on the trolley that appeared on the screen. Next, the player should try to guess in which of the 2 lifts hidden gold. The correct answer multiplies the winnings by 2 times, but the mistake instantly takes away all earnings. 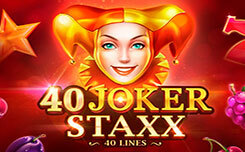 Slot Gold rush, from the company Playson will appeal to all lovers of adventure.